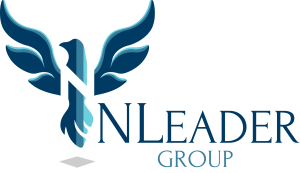 Nancy Leidelmeijer is owner and executive director of NLeader Group, LLC. She specializes in Medicaid financing and policy related to the Medi-Cal Administrative Activities (MAA), Targeted Case Management (TCM), and other Federal Financial Participation (FFP) programs. She is an accountant by profession, with over 25 years of public sector experience in cost reporting and analysis; program and project management; revenue maximization; and audit disputes. Nancy served as the MAA/TCM Coordinator in Santa Barbara County for 23 years, since the inception of MAA and TCM in 1993, which made her the longest standing coordinator in the state of California. She has served on the Local Governmental Agency (LGA) Consortium’s Executive Committee, and actively chairs or co-chairs several consortium committees for MAA and TCM, including Financial Management, New Coordinators, and TCM Guidelines. She works directly with California counties and chartered cities to ensure compliance with federal and state regulations as they relate to the MAA, TCM, and FFP programs. She provides technical support, oversees the audit processes for a number of counties, helps establish new, and manage existing programs. Nancy’s history, proficiency, and expertise in the CMAA, MHMAA, TCM, and other FFP programs is unparalleled. Considered an expert in the field, she is frequently called upon by state and local government representatives to provide MAA and TCM training, from time survey, to MAA invoice, and TCM cost report. Her expertise encompasses all aspects of these valuable programs, both program and fiscal. Most importantly, she is committed to helping agencies maximize their revenues, while ensuring compliance to minimize audit risk. She is a vocal and passionate advocate for all agencies participating in MAA and TCM. Nancy holds a Bachelor’s in Business Administration with an emphasis in Accounting. Sandra Copley is NLeader Group’s managing nursing consultant. 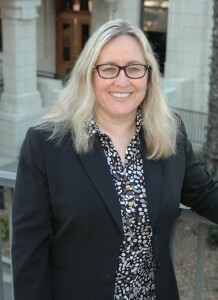 She has been the Maternal Child and Adolescent Health (MCAH) Director, Director of Public Health Nursing, Deputy Director Children’s Health and Disability Prevention (CHDP), Field Nursing Manager and Adolescent Family Life Program (AFLP) Supervisor at the Santa Barbara Public Health Department. She has 41 years of nursing experience and 17 years of responsibility with TCM home visitation management, documentation systems, time surveys and nursing audits. She has developed trainings, guidelines and mentored nurses and ancillary staff. Sandra’s expertise extends beyond TCM to MAA and FFP. Sandra has been an active member and leader of community committees such as the First 5 Advisory Board, Perinatal Wellness Committee, and Kids Network. In this role she has worked with community home visitation programs and led efforts to create excellent resources for at-risk populations in Santa Barbara County. Sandra is a graduate of the Humboldt State University. She holds a Bachelor’s in Science and a BSN, PHN as well as other certifications in management, lactation and forensic nursing. Maria Straziuso is NLeader Group’s Business Manager. She has 26 years of experience providing administrative and management support in a variety of industries. Her varied experience has afforded her the opportunity to add an eclectic array of skills to her resume. Maria is NLeader Group’s multi-tasker in chief. On any given day, you will find her writing contracts, balancing the NLG checkbook, editing the website or brainstorming marketing ideas. Maria has also become the resident expert on TractivityProTM, and assists all of our clients if any issues arise. Maria’s wide range of skills are an integral part of NLeader Group’s success in meeting your MAA and TCM administration needs.